The 2017 Mazda 6 Grand Touring is what happens when good engineering and creative design come together. When Driving Matters, performance is never compromised for fuel efficiency. So Mazda up with a way to enhance both with SKYACTIV® TECHNOLOGY. This is a unique engineering approach that gives you a better driving experience with up to an equally impressive EPA-estimated 35 HWY MPG1. Standard on every Mazda6, is the MAZDA CONNECT™2 infotainment system, which provides information, entertainment and a connection to the outside world. Just use the multifunction Commander control on the center console or the full-color touch-screen display to quickly and intuitively navigate the multitude of functions. When it comes to wheel design, the more flashy and dynamic, the less likely it is to perform. 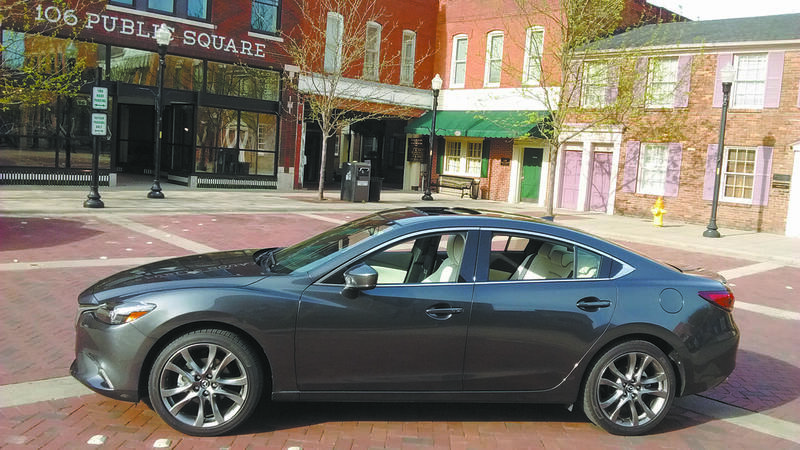 But when designing the Mazda6, the design team pushed the boundaries without compromising. In the end, more than 20 designs were tested—and rejected. The end result is a wheel that looks beautiful, while also being strong yet light. 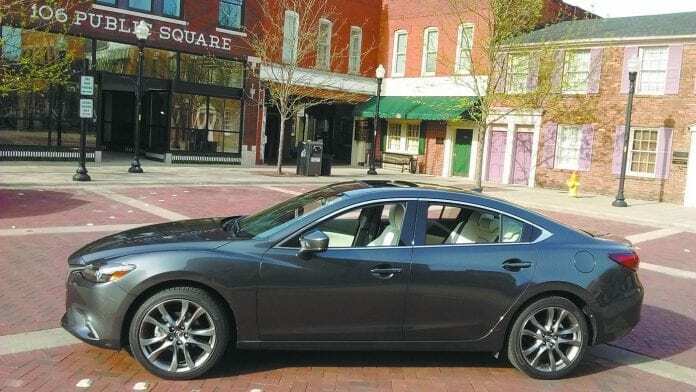 Other stand out features on the Mazda 6 include: halogen headlights with automatic off, halogen daytime running lights, variable-intermittent windshield wipers, body colored power side mirrors with integrated turn signals, body colored door handles, integrated rear-window antenna, LED combination taillights and dual exhaust outlets with chrome tips.